For the past year I have been donating my general classes to the Residents of The Bentinck who are in recovery, FREE OF CHARGE. However, I think that life goes more smoothly when we do come to yoga, and to take away the money issue (the money EXCUSE perhaps), I am making my Wednesday 6.30pm class and Sunday 5pm class BY DONATION. Pay what you can. My graduates in Western Australia have been doing this for some time, and I admit I have tried it before. I am trying it again. Please support this effort. If it goes well for July, then I will extend it. Please support me in this. The painting below is one of my latest – THE GAYATRI MANTRA (The words in Tibetan Script, a translation and in English) – fairly complex and unfinished. You will learning how to do a simpler mandala, but quite beautiful. Something you will treasure. THOUGH FOR TODAY: “Yoga is not about touching your toes – it is all about what you learn on the way down”. Please keep in mind that although I do Tea Leaf reading occasionally I don’t read minds….. when I receive documents from people who have married, changed address and have not contacted us for some time, and not let us know about those changes, I will have a hard time responding. Over the past month or so this has happened a few times. Unidentified modules in an envelope, or requests for re-registration from people who have not let us know of really basic and big changes in their names, addresses and contacts… Please keep us up to date. Also keep in mind I am a human being, not a computer. I really do like a little personal note in with your modules if you have been away for some time. Just chucking stuff in an envelope after a long time of no communication, says to me that you don’t understand the REAL yoga, haven’t thought about the yamas in a while, and really don’t care. I am your teacher, and I DO care. I look forward to reading every module, I love getting big enveloped packed with modules and little personal notes. It is what Distance Education is all about. Building a relationship, not just getting a qualification. On that note I must say I am always amused by students who come to me for their qualifications so that they can be registered and insured, and having once achieved that, and graduated, pretend that they were trained in India by some exotic Swami. Once again – they have forgotten the yamas (and that our school is really part of their lineage, no matter how “un-Indian” I am, we are!). It is really winter here, although we haven’t had much snow.. it will happen. It has snowed up the mountain, and sort of snowed here. Although I don’t hold Yoga outside, people behave as if I do, and the mats are pretty empty at this time of year. I must say I understand this, and am staying inside drawing, painting and doing warm things, although I am ALWAYS at class when I say that I am. Lots of my students have taken off for Europe. I could go, and I have thought about it but after a lifetime of travel, heaven for me is to just get a good day of painting done. I get up at about 5’ish (I don’t watch the time), meditate (long meditations), then do my toilet and breakfast, write, answer the mail, do the “urgents”, tidy the garden, and then breathe and get down to painting after lunch. I break at about 4 and start yoga teaching until 7.30 or so. Supper, more painting and then sleep. As I said. Heaven! I only have a certain amount of time, and I want to absolutely fill it to the brim with good things. I am holding a MEDITATION MANDALA painting class on Tuesdays 7pm to 9pm from the 24th July for 5 weeks. You won’t need any experience, just a willingness to learn and go slowly. I teach art like I teach yoga – we start with the foundations. CLASS DETAILS: SATURDAYS from 2 – 4 pm teenagers TUESDAYS from7pm- 9 for adults. There are only 4 spots left available in the Adult class at time of posting this. By the end of the class you will have a unique image to take home, and frame to put in your own meditation room. The one below is not quite finished. Yours will not be so complex, although it will be this size and similar although simpler. I have got the boards all ready for you. This one is the GAYATRI MANTRA in Tibetan script, with translation and English. When your painting is finished it will be a valuable addition to your meditation room (and perhaps something you will hand on to your children). Thank you to those students who have expressed a willingness to “go for Gold”. The Post Graduate Diploma! It won’t to be easy, and has been interesting to hear from those people with not many actual teaching hours up their sleeves who think they know it all. Well maybe they do, but not about this. This is a new and challenging branch of yoga and very complex. It will be some months before I get the group together and we start – the students have requested a breathing space, and it is probably a good idea. I am looking forward to passing on what I have learned, and will support these girls every inch of the way. It is a hard course, but it is also a hard yoga. My students at Rehab have said I am a ‘tough old tart”. My answer to that is that teaching into this community is ‘tough old tart business!”. PAINTINGS, PRINTS, TAROT AND HIGH TEA. My art work allows me to teach pro-bono to the rehab community, and give out scholarships… It is not just painting for the sake of painting. In July I am initiating a web site totally focused on my art work. All proceeds from the work sold at REDS, and the High Tea will go to the GITAJAIA YOGA FOUNDATION. The next show will be a “HIGH TEA +Tarot” to herald the release of my new “silk finish” Revelation tarot deck and new Buddha/Angel Meditation prints. As usual it will be at Reds Restaurant in Woodend, and at the moment we are looking at the 22nd of July. We haven’t settled on an exact date yet. There will be a cost, you will have to book for the high tea although the exhibition will be open to all. Because there will be a beautiful High Tea, and we need to know the numbers, please book. It will cost $45, and you need to pay with your booking (for catering purposes we need to know you are serious). A Tea Leaf Reading is included in the price. Remember when I used to do it every day at my little café/yoga room – Mt.Macedon Tea Rooms? People came from all over to get a reading, it was fun, it was good.. On this occasion a booking with Tarot Reader will be available, however, NOT included in the price, and you will need a separate booking for the tarot which is a longer and personal reading. TUESDAY 7pm Hatha at The Bentinck – (NB: From 24th July this time slot will be taken up for 5 weeks as a Thanka painting Class to be held at The Home Studio). FRIDAY 6.30pm FREE COMMUNITY MEDITATION CLASS. Meditation/Relaxation at The Bentinck. props provided. NORTHCOTE: 9 Langwells Pde. (near Aldi). Ling will be taking over these classes, she is our trainee yoga teacher. The next one will be on Sunday 1st July, 2pm to 4pm at my home studio (37 Morris Road in Woodend). There is no need to book. Bring writing materials, and be early. If you are teacher Training student then the cost of the afternoon is $20 (to bring it in line with yoga classes) (which applies to everyone. If you are a visitor and not formally a student teacher with us then the cost is $30 – for a 2 hour class! Come. BENDIGO Teacher Training classes –Next class is Tuesday 3rd July at 3.30pm Turn at the Metricon building on the highway in Kangaroo Flat. It is a traffic light intersection, just up from Bunnings. Crusoeden is the building behind Metricon building, and faces Church Street. It’s easy to find. Cost: $20 per class (to bring it in line with the cost of a yoga class) for everyone who attends – thank you. (Directors – Jayne Boyle – crusoedenbody@bigpond.com). Regular classes held – please email for timetable. Etsy is Etsy. I write books to help you in your course. Please download them, and then please use them in answering your modules. Please never imagine that I don’t read your modules – I do. If you misquote, I will pick it up. That being said….Why haunt libraries for information on the chakras, yamas, and other yoga philosophies relevant to the course (or The Tarot). It is all on ETSY. We do plan to update our shop (and the prices) with the new web update, but we will never be able to offer the options and service of etsy which has millions of customers. For you who have never used ETSY please visit. It is fabulous and oh so EASY. You will find all our books, our DVD’s and CD’s on ETSY. (The Paul Grilley DVD’s are on our web site shop). Please go to www.myyogabooks.etsy.com. Or www.yogabeautiful.com.au. for the Paul Grilley DVD’s (price about to go up as the exchange rate gets more difficult). If you are new and haven’t read about YAMAS, CHAKRAS then I have distilled them for you. 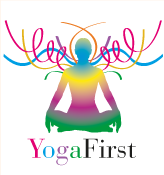 Go to the Etsy site as above and have a look – especially at the new book and DVD on Hypermobility..
TO CONTACT US: EMAIL/POST: Please use the email address yogafirst@optusnet.com.au for anything to do with accounts, or the usual yogafirst@netcon.net.au. to get to me. If you do want to speak to me personally, then email, make a time suitable for both of us, and then we can chat. If you do it this way, rather than just “wing it”, you can be reasonably sure I have time, and you will get my attention. POSTAL ADDRESS is not at my home – Please address all land mail to PO Box 14, Mt.Macedon. Vic. 3441. Until you see a change written here in large letters, that is where it will be. When I started yoga all those years ago there were two alternatives regarding yoga. You did it, or you didn’t do it. Today there are heaps of different kinds of yoga, and to have a big influence, you need to specialise. I have had a few enquiries for the Post Graduate Diploma Restorative Yoga Course (addiction and recovery). This is a complex and difficult area, and the course and its cost will reflect this. If you are wanting to specialise in this area, please let me know. It is possible that I MAY have a scholarship available, however, because of others who have scholarships (and even those who are just in training), believing that they have forever to finish the course, there will be a definite time line for this one. If I give out a scholarship, I do so thinking that you want to teach what I am giving you, and not at some time in the future. If you want to train, then you will have to focus and discipline yourself. Yes, I am understanding, but I am not ridiculous. Yoga teacher training is for people who have the desire to teach, not people who want to find an easy way around being qualified. There’s a parable or a fable about it I am sure. By the way, if you have or are planning to apply for a scholarship, I live in hope that when the opportunity presents itself YOU WILL GIVE BACK. You will volunteer at our classes, or donate in some other way, even if that is just helping with cleaning. I don’t want to have to ask. Recently a scholarship holder wanted to present yoga classes in our studio, and when I suggested that there be a couple of recovering people in the class who would not pay, she was horrified, and has gone on to teach elsewhere. She told me I was not businesslike. She could be right…. however, I was not overly impressed. I walk by faith – not by sight. My idea is to teach a course at POST GRADUATE level to one SENIOR TEACHER (graduate) from each state if possible. We can expand from there. This work is increasingly my focus and I am inviting you to join me. 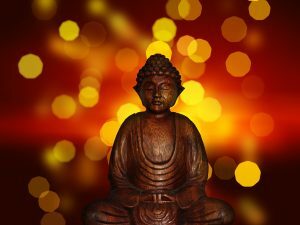 Even yoga teachers who think they haven’t experienced addiction need this teaching, as at the present the statistic is that 60% of the population are addicts. Hard drugs, prescribed medications, alcohol (a “biggie”), nicotine. So 6 out of 10 people standing in front of you have the possibility of being addicted. Even if you can’t see this, even if you can’t recognize what is in front of you they need special help, special understanding – people don’t wear placards saying “I am an addict – please help me!”. I was listening to Radio National about the need for help in rehabilitating addicts. Many places around Australia have nothing. Jail is the only place addicts can be sent. This is a fabulous opportunity FOR YOU! Yoga the way that we teach it works, and you could set up a fabulous after care facility in your area – but not without training and help (and courage). My art work allows me to teach pro-bono to the rehab community, and give out scholarships… It is not just painting for the sake of painting. In July I am initiating a web site totally focused on my art work. A Tea Leaf reading will be included in the price of the High Tea. Remember when I used to do it every day at my little café/yoga room – Mt.Macedon Tea Rooms. People came from all over to get a reading, it was fun, it was good.. On this occasion a Tarot Reader will be available, however, this Tarot reading is NOT included in the price, and you will need a separate booking for the tarot which is a longer and personal reading. Like you I love having Thankas in my meditation room (mind you as soon as one I have painted is installed it sells). So, I am inviting you to join me in a class to learn to paint your own. No art expertise is required. As long as you can sign your name (in a legible fashion when concentrating), you can do this class. As soon as I have a sample painted of the one I am planning for you, I will put it on the web site. 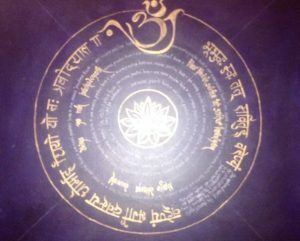 As you know, the mantras spin clockwise, and the light of the mantra radiates from the seed sillies in the centred throughout the mantra garland. This “vibration” radiates throughout ones whole body and meditation space. They need to be visualised like a moving image. They are not static. It is a point of focus for the mind and the remover of obstacles. And TUESDAYS between 7pm and 9 for adults. COST $250 for 5 classes – all materials will be provided. By the end of the class you will have a unique image to take home, and frame to put in your own meditation room. TUESDAY 7pm Hatha at The Bentinck – until 24th July when this time will be taken up as a Thanka painting Class to be held at The Home Studio. Meditation/Relaxation at The Bentinck. props provided. MASSAGE: A Healing Massage with Jahne can be had between Yoga Classes (at The Bentinck) by appointment only – even on weekends. MONTHLY TEACHER TRAINING AT THE HOME STUDIO: The next one will be on Sunday 1st July, 2pm to 4pm at my home studio (37 Morris Road in Woodend). There is no need to book. Bring writing materials, and be early. If you are teacher Training student then the cost of the afternoon is $20 (to bring it in line with yoga classes) (which applies to everyone. If you are a visitor and not formally a student teacher with us then the cost is $30 – for a 2 hour class! Come. Not one of my artworks, but definitely orb-like. EMAIL/POST: Please use the email address yogafirst@optusnet.com.au for anything to do with accounts, or the usual yogafirst@netcon.net.au to get to me. If you do want to speak to me personally, then email, make a time suitable for both of us, and then we can chat. If you do it this way, rather than just “wing it”, you can be reasonably sure I have time, and you will get my attention. POSTAL ADDRESS is not at my home – Please address all land mail to PO Box 14, Mt.Macedon. Vic. 3441. Until you see a change written here in large letters, that is where it will be.